Have you ever needed to practice late at night, or play a few notes in the hall before a big entrance? A good practice mute is worth it's weight in gold. Now you can have a GREAT practice mute, at an even better price. 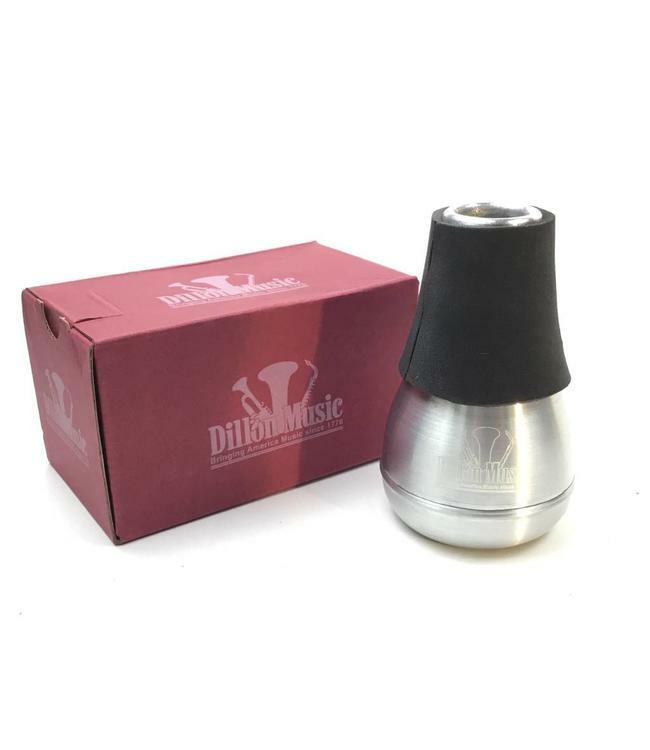 Our new Dillon Music Practice Mute for trumpet is your answer. Featuring lightweight aluminum construction and neoprene corks, this astonishingly small (fits in the bell-even when closed up in your case!!!) and lightweight practice mute has great intonation and maintains a non-resistant blow throughout the entire range. Similar mutes cost almost 3 times as much!! Be the first in your section to get this wonderful addition to the Dillon Music product line TODAY!